would people like 10 round 527 magazines? Re: would people like 10 round 527 magazines? The one isn't really long. Fits quite well and works perfectly. I wish someone would make a slicker looking one, but this one, while cobbled together, works like a charm. To the best of my knowledge, it's the only one in existence. 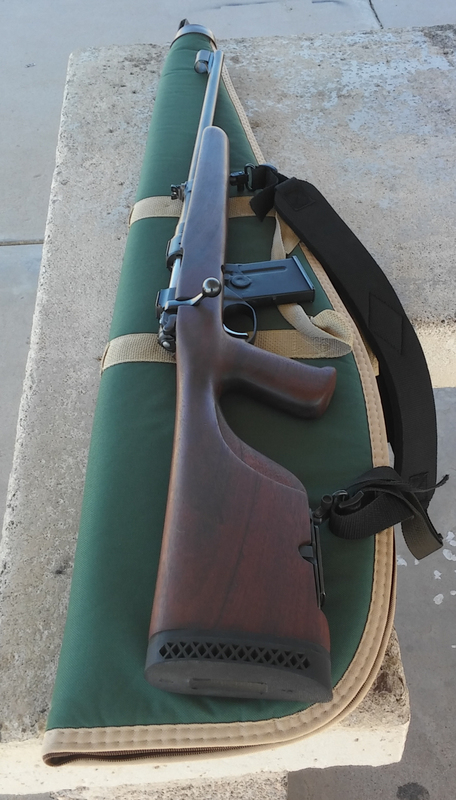 I would love to have a couple of 10 round magazines for the CZ 527 (in .223 Remington). Oftentimes I think about making a couple of them myself but then I don't know anything about this specific craft. How hard can it be though to make a (synthetic) magazine? I am thinking about creating molds for epoxy resin and DIY-springs. By the way: Very nice stock, armoredman! For a bolt-action rifle....no. I lean the way of the three round flush fit brigade. It's a pity that apparently we have to change the bottom metal to accommodate a three round mag. Not so easy (or affordable) where I live. 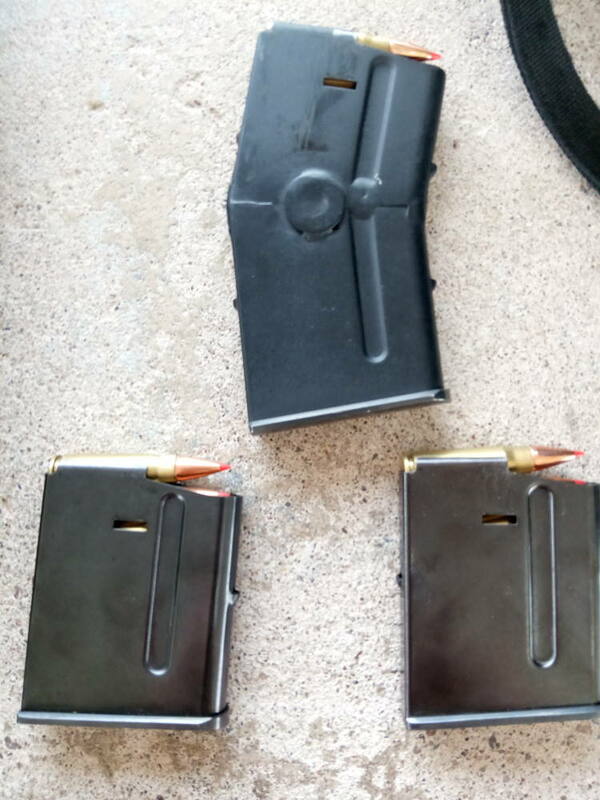 Printed magazines tend to melt slightly due to the heat the gun produces - according to some sources. The most difficult part is probably the housing I imagine. Being a bolt gun I cant imagine the heat generated as being a problem to the magazine, no? If you look at armoredman's ten round magazine you notice that it's made up of two five round 7.62mmX 39 mags. What if you 3D printed just the bottom half of armoredmans ten rounder? It would attach to a standard 5 round magazine like you were putting on the magazine base plate. You would need a hole in the plastic bottom 1/2 magazine to capture the spring and follower and then you'd slide it on like the upper steel 1/2 mags base plate. There would have to be a way of securing the two magazine halves so they don't slide apart in use. This is sort of like magazine extenders for pistol magazines. You would also have to make a proprer spring. Having the top 1/2 of this ten round magazine factory steel and the bottom 1/2 plastic would eliminate any wear or heat issues. You also wouldn't have to limit yourself to just ten rounds the magazines plastic 1/2's length would be more of a limiting factor. I know absolutely nothing about 3D printing so this is just a thought on my part. The bottom of the magazine body has two flanges that flare outward from the magazine. These flanges hold on the magazine base plate. Regarding possible interference to the magazine follower there is nothing in the way. The magazine follower itself may be a problem though. It is basically a bent piece of metal about 3/32nd thick and square edged. The follower is shaped like an inverted "U" and spans the length of the magazine body. It's the square edges that are most likely to hang up on the magazine/mag extender joint. If you made a follower out of something like Delrin plastic about 1/2 to 5/8 inch tall and lightly rounded the top follower edges this would probably eliminate possible hang-ups. The Delrin follower could be hollowed out underneath to keep the mag spring in place. It would also be fairly cheap to make. The height of the Delrin follower needs to be tall enough to span the magazine/mag extender joint and not tilt enough to catch. It also needs the relief cuts for the half moon magazine stiffener/cartridge recoil shoulder that are pressed into the magazine body on each side. I've made it sound more complicated than it is in reality though. It would be a pretty simple piece. Well, my friend, perhaps you've found something that needs to be built. Fortunes have been made with smaller ideas. I like the way you think. If you plan to start a business, count me in. I could act as your European distributor and one of your best customers. I think I smell a business opportunity growing here. As I mentioned in my reply (#36) I know nothing about 3D printing. So this idea is up for grabs. Manticore? Could fit that idea on a weekend and keep it as an as-needed order item. Wouldn't mind one or two myself.